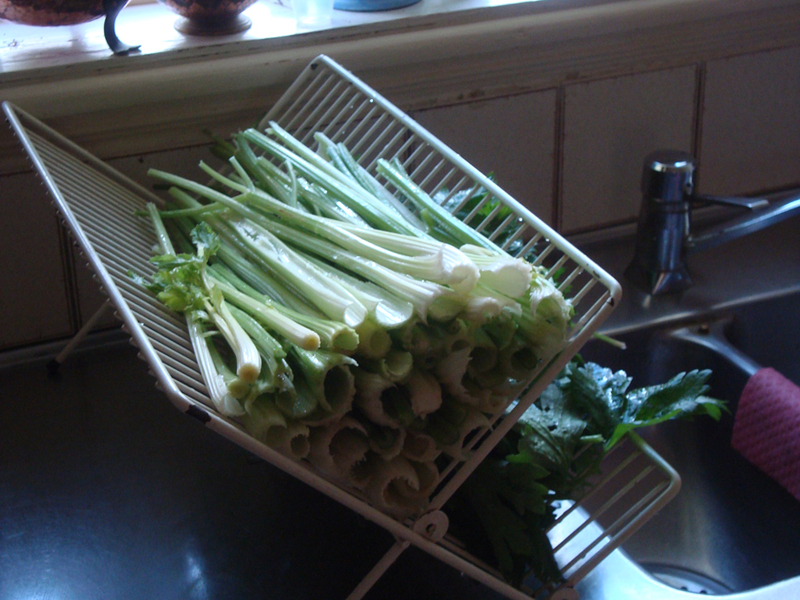 The first Celery harvest of the season. 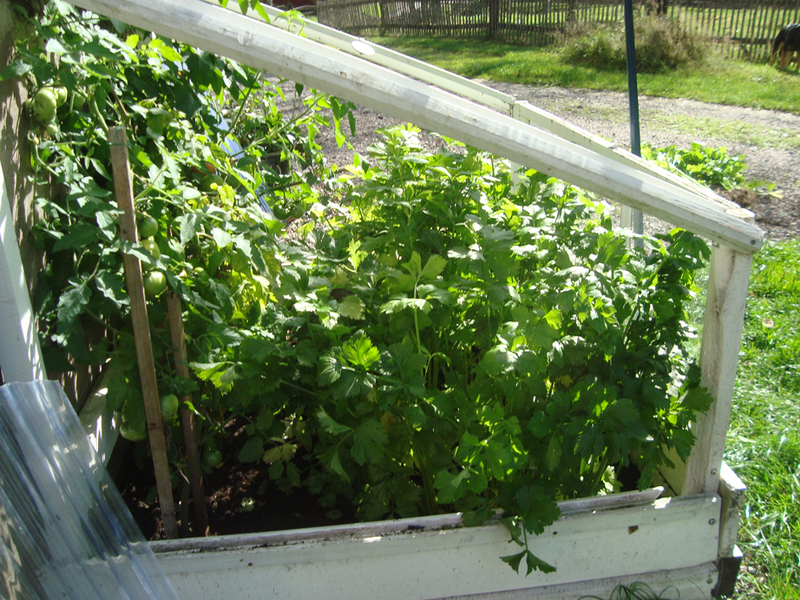 You can see the Celery has grown thick and luscious.We need to thin it out so the tomatoes can get sunlight and the remaining celery can grow bushier. We will harvest the largest plants. We have tomatoes that are turning red all in there. 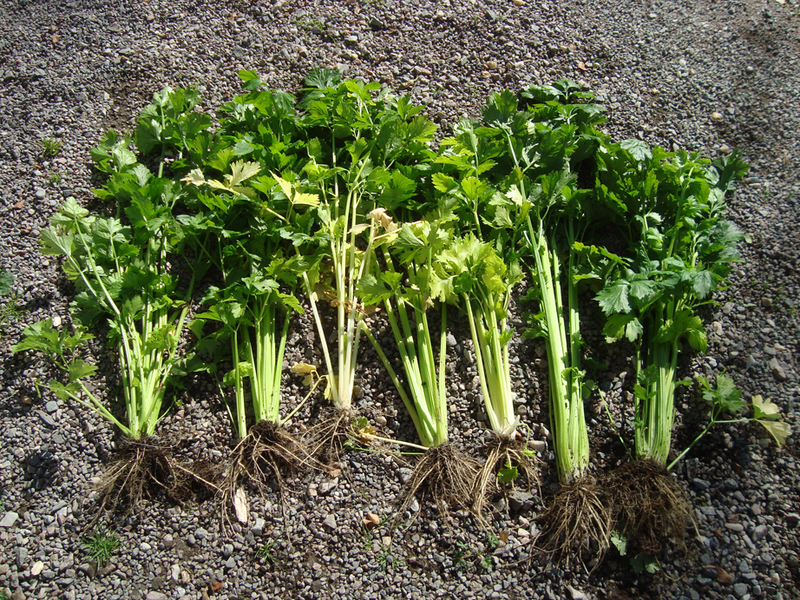 These are the first 7 Celery stalks we have harvested out of the mini green house. We have at least 40 more to harvest later. Hubby wanted to thin it out to give the stalks more space to grow. Next year we should considering planting them in the Poly-tunnel because they mini green house is too small and the roof is too low for these surprisingly tall plants. I planted them a little too close together this year. I learned something new. We are so pleased with the Celery this year. We rinsed them in vinegar water. We saved the leaves they are just as nutritious and tasty for soups, stews and stir fries. We cut these stalks in thin slices. We place them on baking paper on cookie sheet and freeze them. This keeps them from freezing in a clump, but individually. After they are frozen, we place them in Freezer bags in the freezer. You can just grab a handful or cup full depending on what you are cooking. We pickled 15 jars of cucumbers today as well. They are on the table cooling.